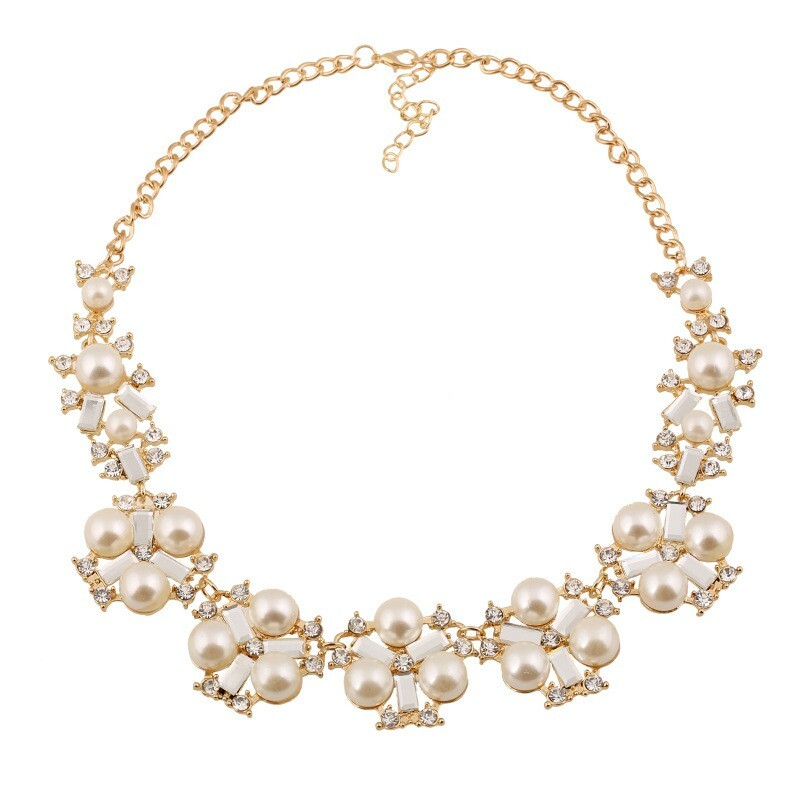 Exude the elegance of a big white pearl necklace. 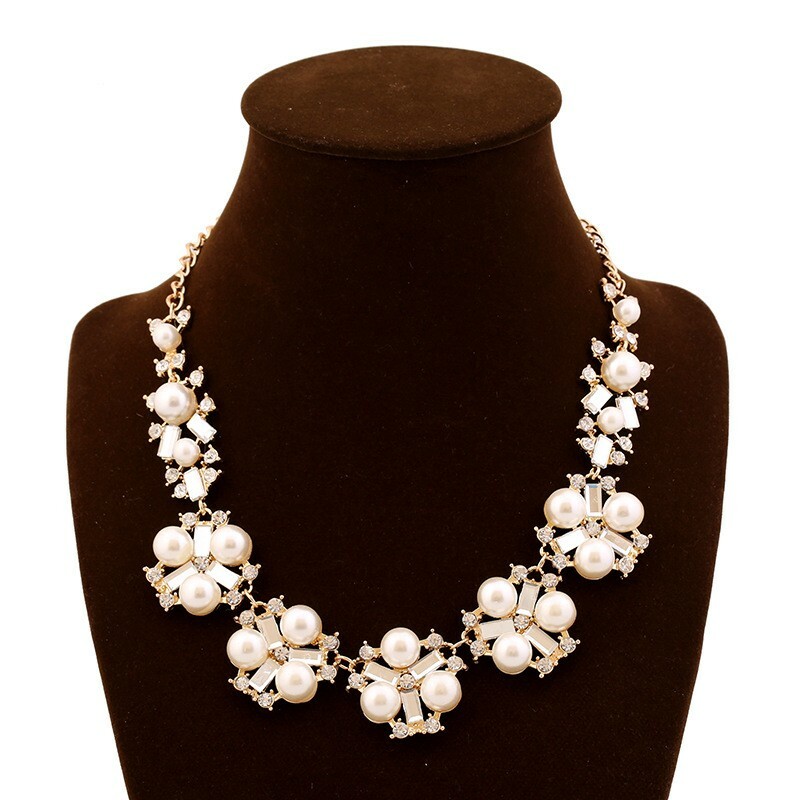 A statement necklace shines with multi layering clover shape flower design, white pearl as the petal, the white crystal as the embellishment. Sleek and elegant, it gives everyday blouses sophisticated style. 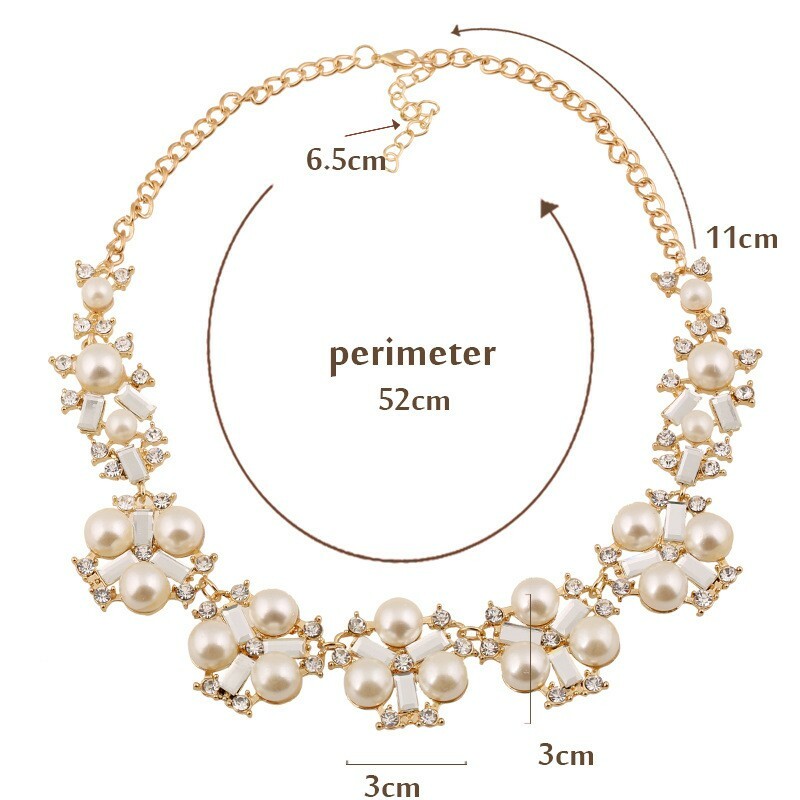 The center flower measures diameter 3 cm, the back metal chain length 11 cm.